SUMMARY: Nature spirits and Fairies have become an increasingly common topic. Embracing the Spirit of Nature will invite you into a world of magic few have experienced by sharing actual photography of Fairies, Gnomes and More. Embracing the Spirit of Nature will alter how you experience nature and how you directly impact the life in all of nature’s elements. This book will draw attention to nature spirits that have likely never been seen before that surround and support us in our daily life. 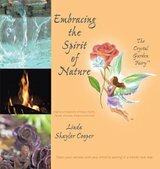 This book offers a unique opportunity to view actual raw photography of Nature Spirits, dialogues with the nature spirits and ways to communicate and receive guidance from them. BACK STORY: I have been fascinated with the Fairy realm since childhood. I used to hide under the bushes and trees imagining I was in Fairyland. When I was old enough to read, Fairy stories were my favorite. My first eleven years I lived in South Africa. My family moved to Southern California where I grew up. I forgot about the Fairies until I found myself fascinated with my garden in Laguna Beach, CA. Searching for my passionate purpose I found it through the garden. At the same time I woke up spiritually, learning about the unseen realms of reality. Co-creating with the nature spirits in my own garden led me to having my own landscaping business. During the 25 years of creating gardens for clients, while growing spiritually, I realized that when a client called us in to create a garden for them they were asking for a healing on some level. Inviting us in would open up a healing vortex in the land connecting to all the other gardens that we had created. The nature spirits would continue the work after the job was complete. The gardens would shimmer with magical light. One garden job followed the next through referrals. I was most fortunate in that the energy and the beauty spoke for itself. I retired to the Sedona area in 2008 once my daughter graduated from high school, and brought my fascination with fairies along with me. Through the many years of working with them, I was not given the gift of seeing them. I could only feel them and see the result of working with them. In Sedona, though, I felt that we had come to a sort of agreement. if I would write a book about them, they would show themselves through the lens of my camera. I have no doubt of this. Amazingly enough, the first photo of the last official garden that we created in CA, a flying Fairy with a wand appeared. Now I was committed. Since I did not really know what they looked like or where to find them I asked them to show up in forms that we could identify. My process was to close my eyes in meditation asking them to reveal themselves then open my awareness to the potential areas in the garden where they may be. I would then take multiple digital shots then visit the photos on my computer discovering them. At first it was difficult to see but after hours of searching I began to see them right away. The same is true for anyone who views the photos. Since I knew nothing about writing or publishing I had to figure it out through trial and error. I did hire a few different people to advise me. I also had the book designed. It was submitted to Balboa Press, a self publishing company, I chose not to research other writings on the subject but rather speak from my own experience. It came to me to ask the Nature Spirits themselves to share what they wanted us to know and they did. I spent 2 years getting the job done. WHY THIS TITLE? Through the many years of my research into the unseen realms of reality I found that there is so much to discover that is not found in our ordinary education. My Spiritual journey became the most important aspect of my life and still is. Inviting people to open their awareness in this way is my intention. Nature is a very important part of many people’s lives so I thought that if they knew who they were interfacing with in their own environments It would be a magical gift for them. Seeing is believing, When you are able to see them an activation will occur. so I did my job with the help of the Nature Spirits. I have had many people tell me how much they appreciated seeing the Nature Spirits. One woman emailed me saying that I had changed her life. She had been seeing them since childhood but had no reference to what it was that she was seeing and no one to talk to about it. She received validation through my work. On my website, thecrystalgardenfairy.com, in the “About Me” section is an interview that I did with a Spiritual network. 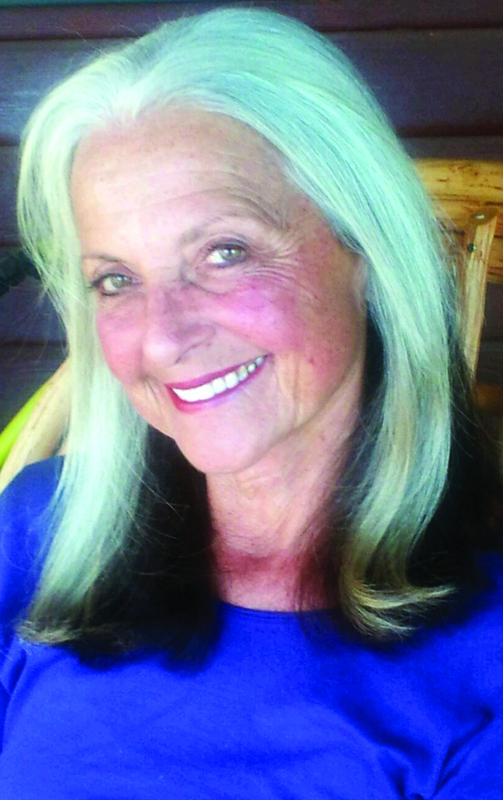 I also did an interview with Regina Meredith on Gaiam tv. It was in the Spring of 2014. Well worth seeing for anyone interested in this realm of reality. “Mother Earth and all her inhabitants are in the process of shifting dimensional realities. We are moving toward merging Heaven and Earth. To get there we all need to raise our vibrations by taking full responsibility on all levels. This also involves all the Kingdoms operating on Earth. The animal, plant, mineral, human and angelic realms are all included. Working together we will achieve ascension which is defined as merging Heaven and Earth. The Nature Spirits are part of the Angelic realm. They have been in hiding since the fracture on Earth into fear eons ago. They are choosing to show themselves now knowing that they too must do their part in the evolutionary scheme of things in this now moment. WHERE TO BUY IT: Thecrystalgardenfairy.com is my website where you can buy an Ebook as well as the physical book through Balboa Press. Look in the store.